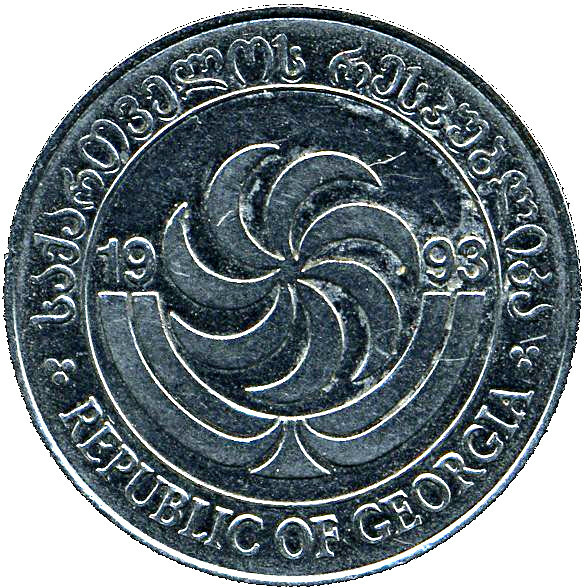 Borjgali, a Georgian symbol of the Sun with seven rotating wings, over the Christian Tree of Life. 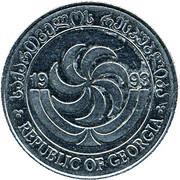 “REPUBLIC OF GEORGIA” shows in both Georgian and English letters. 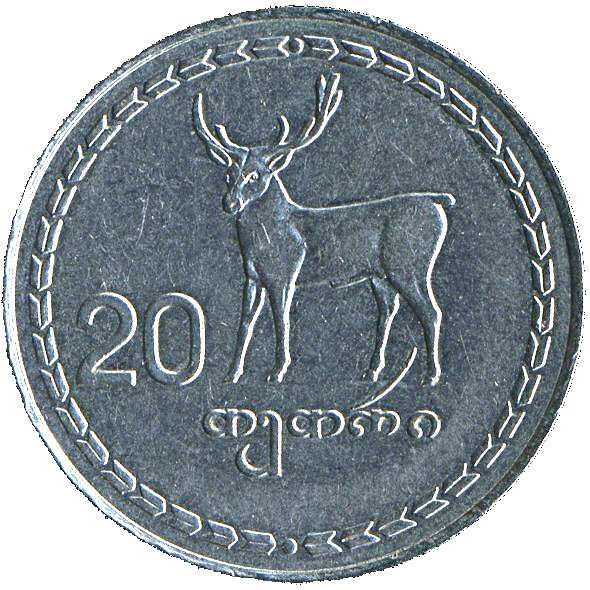 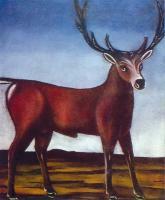 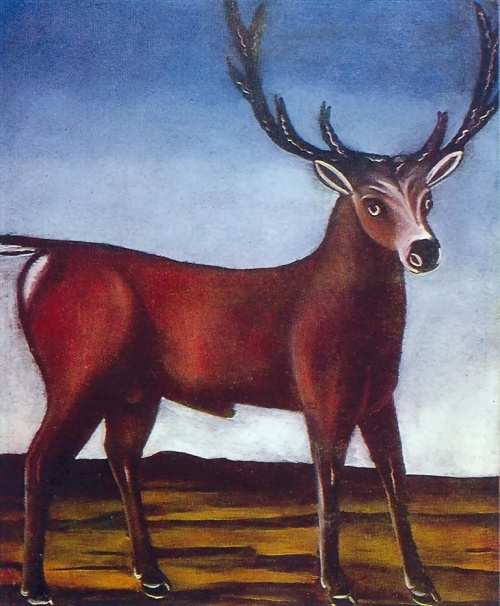 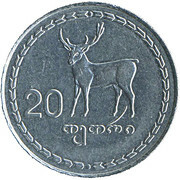 Red deer from Niko Pirosmanishvili painting left, denomination.